Vicki has 30 years of experience in the Technology world, bringing the highest level of application design to many different industries: Retail, Banking, Mortgage, Insurance, Healthcare, Education, and so-on. 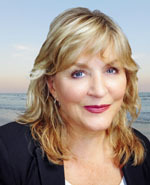 Her love of the ocean brought her to the Myrtle Beach area, where she is now helping those who also love the ocean and its positive energy, find their new homes and/or investment properties. Vicki’s Technology profession was to talk with the end user on their application needs and then transform their needs into “geek speak” (programmer language) so the needs of the user were built into the application. This experience vastly benefits Vicki as the best buyer’s agent in real estate sales, as she truly listens to her buyers' needs and concerns for their dream property. This allows Vicki’s clients to achieve their real estate goals. Vicki supports her clients through the whole process of purchasing or selling their property. Her specialties are listening and attaining her clients’ criteria, communication every step of the way, and finding the absolute property fit for each client.